Anna Marchisello’s work emerges from a desire to create spaces of uncertainty within which the interplay between the specific, the particular, and yet undefined may be explored. Taking on the role of director or choreographer, Marchisello deploys “characters” of music, movement, language, and imagery; allowing them to interact with one another to elicit a new, composite implication. Through a practice of extracting these individual instances from their original contexts and re­-presenting them with either a lack of context or a new context, she seeks to explore the at once familiar and unfamiliar, simultaneously specific yet unclear. The overlapping and injection of these ‘characters’ into one another, along with elements of pacing, rhythm, and repetition, aim to create pockets of ambiguity within which new significance is created, and enigmatic notions are insinuated. Working with self-generated as well as found material, Marchisello’s process is rooted in re-inspection, improvisation, and intervention. She is interested in collapsing emotional or narrative arcs, often teasing out and amplifying idiosyncrasies or ambiguity to explore the root of a human experience (as opposed to the ‘human experience’). In the pursuit of creating a visceral rise and fall without providing necessarily clear or obviously cohesive content, Marchisello seeks the spaces in which something familiar emerges out of nonsense. How might ambiguity function as a surrogate for the unspoken, and to what extent are minute instances indicative of broader structures? Originally from North Carolina, Anna Marchisello’s dance training took her to Los Angeles before she returned to the east coast to pursue a degree in studio art at New York University. Marchisello combines movement and improvisational based practices with sound, language, and found footage; often resulting in disjointed video works that explore ambiguity as a surrogate or vessel for a specific experience. Her work has been shown at NYU’s Rosenberg gallery, Petzel Gallery in New York, and St. Agnes in Berlin. In addition to her work on productions such as Stacey Tookey’s Moments Defined and Kirsten Russell’s FELL ONLY ONCE, Marchisello has worked with artist Ruby Sky Stiler and Kate Werble Gallery in New York, and at silent green Kulturquartier in Berlin. Her upcoming projects include a residency in Brooklyn, during which she will develop a collaborative project with Los Angeles-based choreographer, Kirsten Russell and London-based sound engineer, Ross Flight. Marchisello will graduate in May 2017 with a BFA, a Minor in German, and a concentration in Video. The artist resides and works in New York. 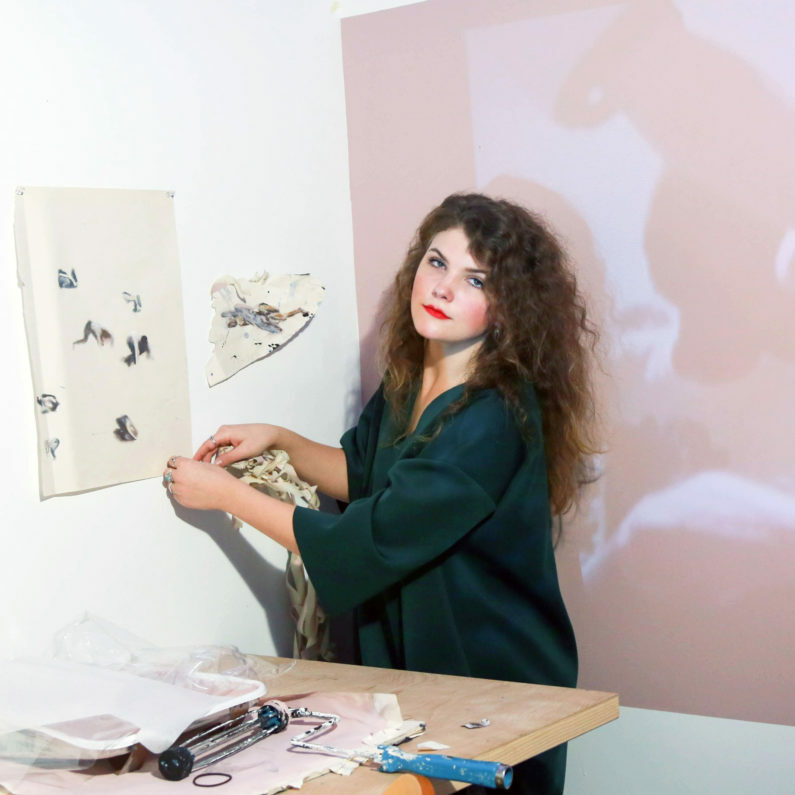 Anna Marchisello’s work was featured in “Way Out / Away Out,” curated by Haley S. Pierce.